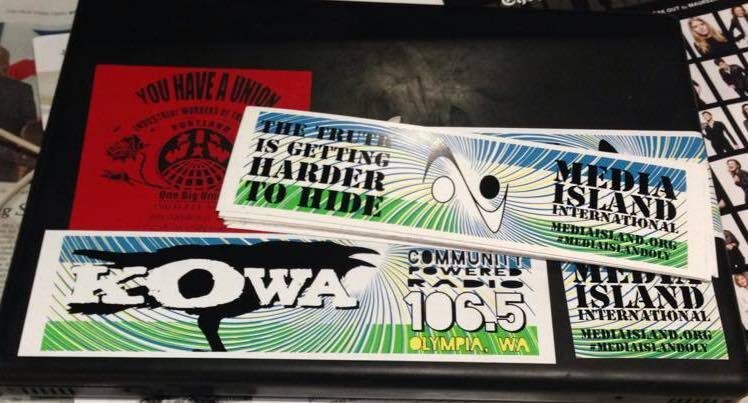 106.5 KOWA is a fully licensed low power FM radio station in Olympia, WA. 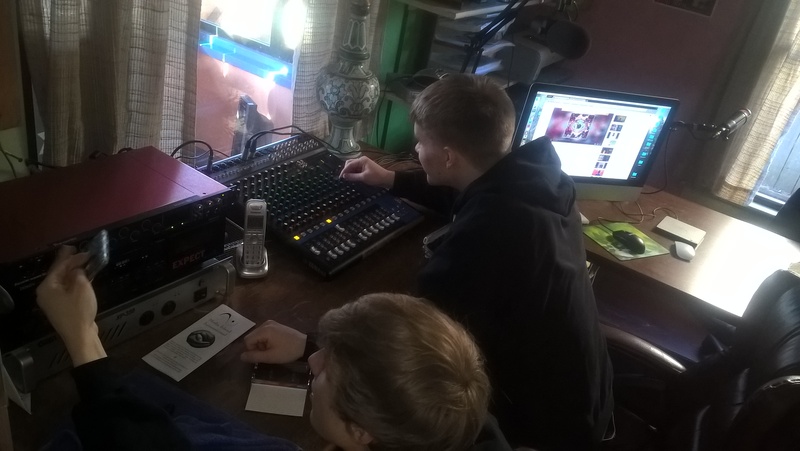 We are a non-profit radio station whose mission is to give voice to individuals, organizations and movements working for social justice, economic democracy, ecological sustainability and peace. We are a Pacific Network affiliate and play many amazing programs from across the country including the daily news programs Democracy Now, Hard Knock Radio, Uprising, Sojourner Truth, Informative Pacifica, Native American Calling and others. We syndicate other shows that focus on environmental, indigenous and labor issues as well as social justice, media literacy, feminist and LGBTQ programing. We were birthed from the spirit and vibrant history of Media Island International and our studio is located at 816 Adams St. SE Olympia, WA 98501. We strive to put as many LOCAL voices, music & perspectives on the air and are always looking for new volunteers and programs that fit our mission statement. 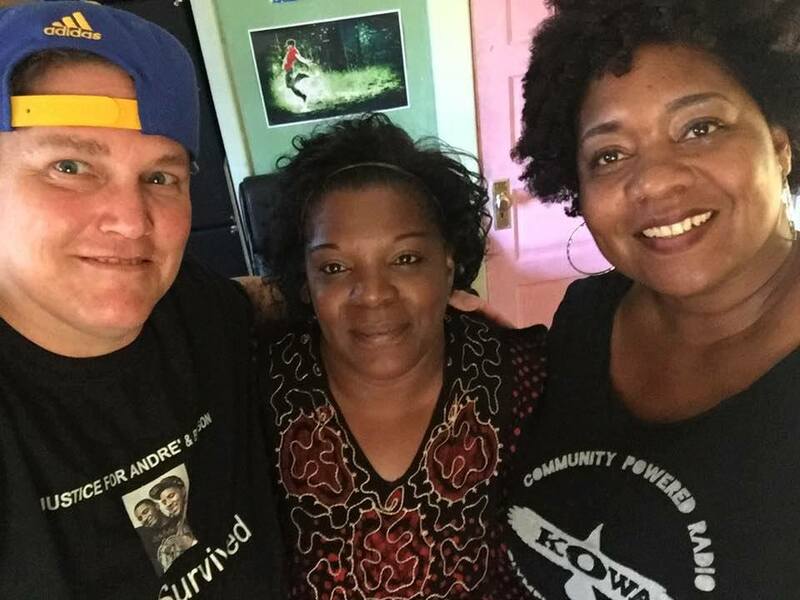 Left from right: Lisa Ganser (Community Activist), Crystal Chaplin – The mother of Andre and Bryson (the two young men who were shot by a police officer in Olympia), and Shawna Hawk AKA LadyHawk after an interview at the station. We are always in need of new volunteers! Feel free to contact us if you would like to get involved!